Video of the Day Honor! OMG! 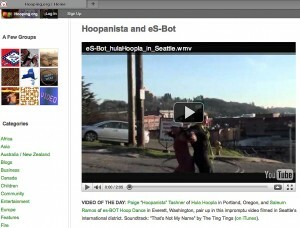 We are the Video of the Day on Hooping.org! 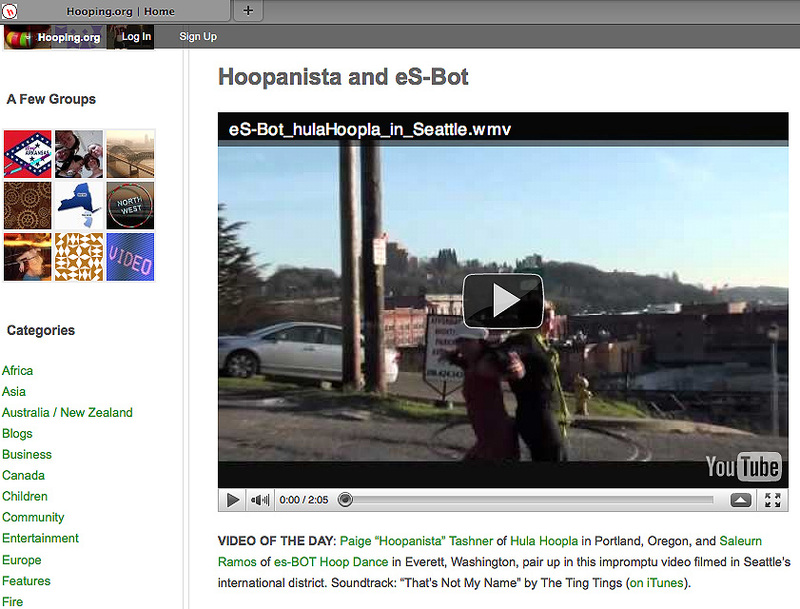 Big thanks to Philo Hagen at Hooping.org and Jayson Ramos for video taping and helping Saluern (eS-Bot) editing the footage. 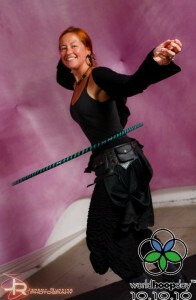 Celebrated New Years Day with Dim Sum and guerrilla hooping in the International District of Seattle. It was cold but sunny and we couldn’t resist! Holy Crap! Lots of classes to choose from. I got ambitious…I only have a few months left to see if I can make this fly as my main income. Fingers crossed and COME ON STUDENTS! 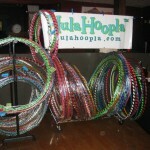 See the HulaHoopla website for full class descriptions, payment information and DISCOUNTS!!!! Classes start January and run through February and first week of March. See the Gem Studio website for details. 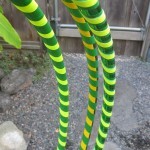 Over-the-hump-day Hooping with the LooLoo’s! Please visit the NECC Website for payments, membership information and drop-in fees. Please register with the Newport Recreation Center for each class. Winter Classes – TBA SOON! I am in the midst of confirming days and dates for winter classes. Stay tuned! 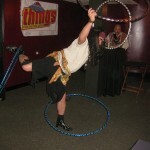 Music and merriment, grub and grog! 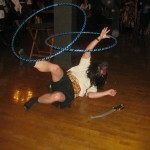 Aye, so many pirates enjoyed a fair amount of hoopin’, don’tcha know. 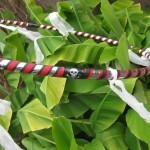 One lucky winner has a HulaHoopla pirate hoop to prove it! Shiver me timbers! 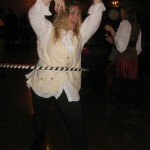 Pirates love to hoop – it’s a proven fact! 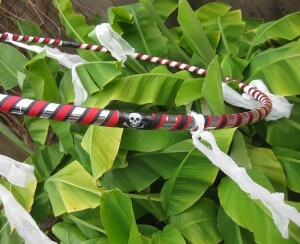 Mighty Fine Pirate Hoop! Yar! Winner of the Pirate Hoop! 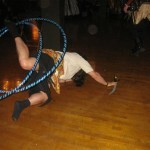 Lost his pistol & dagger doing this! 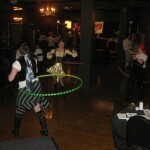 Ahoy, I’m sellin’ my hoops at the Swashbuckler’s Ball this weekend. Aye, me parrot concurs. Ahoy, why not? Ye’ll ne’er get me buried booty! Pirates be fun, argh! Thar’s goin’ t’ be music and merriment, grub and grog. 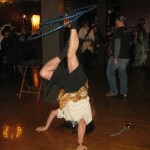 Arrr, I’ve been asked t’ donate somethin’ for the raffle and came up with a pirate hoop. Gar. 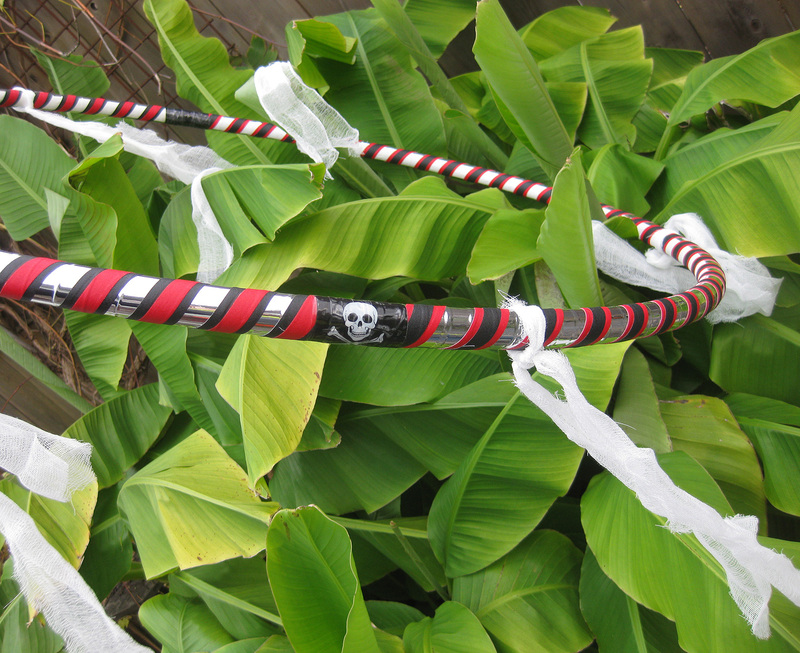 Aye, found some cool Jolly Roger tape and shredded some fabric for a romantic flow. 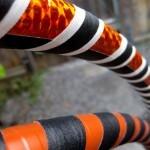 E’en if I don’t sell a sin’le hoop it’ll be fun. Gar, Where can I find a bottle o’rum? Found, fell in love and FINALLY booked the space I was meant to be in…The Village Ballroom. 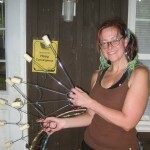 Classes start in January 2011 – stay tuned! 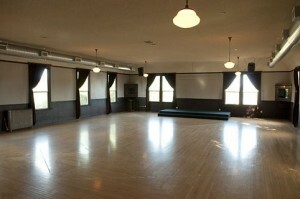 HulaHoopla Classes will be here starting January 2011! 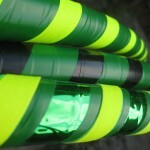 I recently met up with a few hoopers and our brains began to meld into one swirling, creative, intense idea machine. 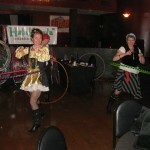 Hoop troupe, hooping personas, costumes, routines, performances, a hooping/spinning collective in PDX…it just kept going!!! I’ve been scouring my brain for ideas on where to have a weekly spin jam for next to nothing, where I can teach my winter classes, how to tap into my creative energy and keep the joy of hooping in tact. 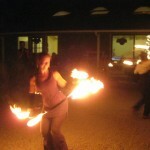 Tapping into potential fire performance training too…it’s a bit twirly right now but it’s such a cool feeling. 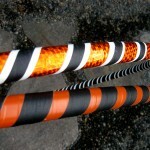 As a Pacific Northwestern Hooper, I’ve developed an all-weather hoop for all-weather hooping! I test drove these beauties while playing in the rain during a Sunday Parkways event. 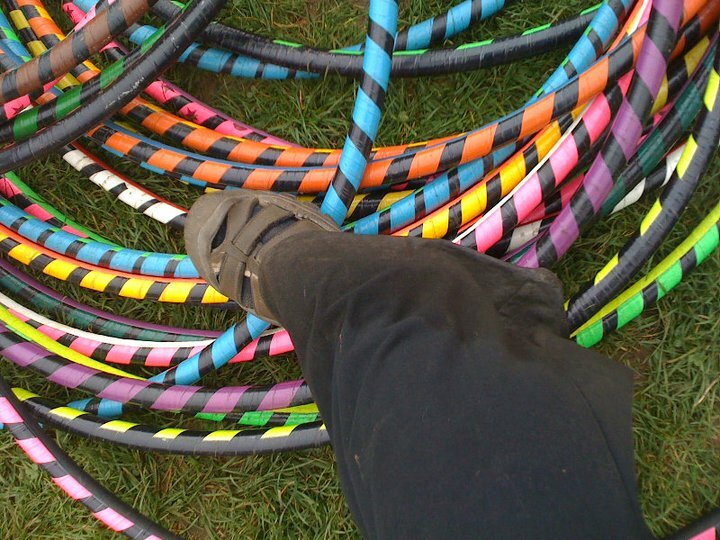 It was cold, wet and muddy and when I got home with my hoops, I simply wiped them off – no damage done! We’ve Got Spirit! Yes We Do! 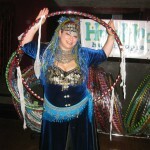 And I have the hoops to take you to the next level of fandom (thanks to Jessie for that awesome word!). My husband’s enthusiasm for college sports sparked the idea for creating school color themed hoops for tailgating, rallies, events and flat out fun. Work off the BBQ & beer during those tailgater parties! 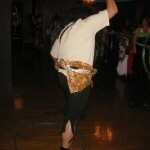 I’ll even make special deals on party packs (5 or more hoops) and weatherproofing for outdoor events. Woo hoo(p)!